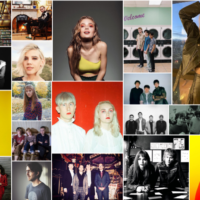 The Matinee ’18 July 17th includes six new tracks for your listening pleasure. 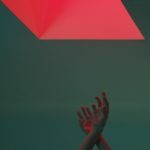 We have six new tracks that span synth pop, indie pop and indie rock. We hope you find your new favorite song or band on this lovely Tuesday. Artists are representing Canada, The US and The UK today. “Nevermind, Never Mine” is the newest track from LA based Cannons. The song is a dreamy electro pop gem that speaks about that someone you just know you can never be with. With being in the middle of summer, the LA based trio just dropped their latest EP which includes a wonderful soundtrack that will provided an instant chilled out mood. “Nevermind, Never MIne” is the perfect track to spin while driving with the top down on a warm summer day. Cannons continue to perfect their electro pop vibe by combining 70s and 80s influenced beats with the stunning vocals of Michelle Joy. The band have become favorites on the LA scene and with the release of their newest EP, they bring a solid showing that could catapult the trio to a much larger audience. Cannons are Michelle Joy, Ryan Clapham, and Paul Davis. Their new EP, In a Heartbeat, is out now. Get it on Bandcamp. Cape Cub has just released the track “Moonglow”. The band was started as a solo project by singer/songwriter Chad Male and has since progressed into a full fledged five piece band. “Moonglow” is the first release providing a glimpse as a full band. 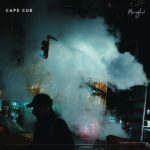 The track provides a look into the expanded euphoria that Cape Cub is now creating. The song has an unforgettable chorus and the addition of keys/organ provides that anthem like sound that could easily catapult Cape Cub into the mainstream. The song is hopeful and bliss filled as Male’s soulful vocals float effortless over cascading soundscapes. CHILDCARE has a new track titled “Magazines”. CHILDCARE was born when Ed Cares, one of West London’s most sought after male nannys was encouraged to start a band by one of his six year old clients. The track has an Oasis like sing-along quality to it as Cares recounts seeing someone that looks a little too together to be selling magazines on the street. The song then progresses into an all out crazy-amazing climax with screaming guitar. 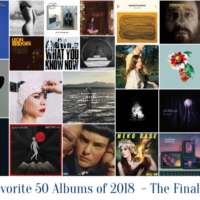 The parting lyric is surrounded by nothing but Cares’ voice and a guitar as if in disbelief that anyone could be a step away from selling magazines. CHILDCARE are Ed Cares (vocals), Emma Topolski (bass), Rich Legate (guitar), and Glyn Daniels (drums). 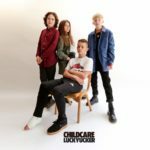 Their new EP, Luckyucker, is out now via Elephant Records. “Ginger Ale” is the newest release by Hotel Mira. 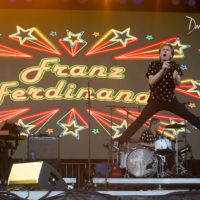 It’s a catchy rocker that chronicles the realities of being too distracted to connect with someone else. Hotel Mira provides an irresistible blend of totally addictive rock. You can’t help but hit repeat after listening to this toe-tapping gem of a track. 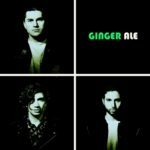 Charlie Kerr shares a bit about the motivation behind the song: “Ginger Ale” is about going on a date when I was on tour in London. And everything was going well but then I kept losing my train of thought by having these random, horrible flashbacks to fucked up things in my childhood. It got to the point where I could hardly hold a conversation. Becky, if you’re reading this, you are a wonderful, Scottish flower and I apologize for being so distracted and out of sorts that evening. Hotel Mira are Charlie Kerr (vocals), Colton Lauro (guitar), and Mike Noble (bass). Their self-titled EP arrives August 17th via Light Organ Records. Pre-order / pre-save it here. “Tourniquet” is the newest track by Meg Myers. It’s a brooding rocker that speaks to a relationship that she knows that she needs to get away from. Her lyrics speak to a skewed view of love based on past experiences. The track is impactful with Myers’ soulful vocals reeling in the listener along with her knack for powerful story telling. 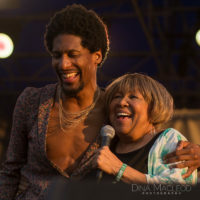 “Tourniquet” continues to reveal a true transparency from Ms. Myers that is most likely therapeutic for her, but is also super powerful for those that might be going through similar situations. With recent singles being released from the new album, we could be hearing one of her most revealing collection of songs yet. 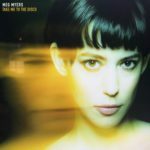 Myers’ new album, Take Me To The Disco, is out this Friday with pre-orders / pre-saves available here. 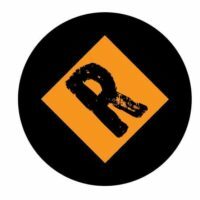 300 Entertainment is releasing it. Moontower is comprised of Jacob, Tom, and Devan who first met as students at USC’s music program where they spent a year writing music and building custom staging and lighting before welcoming listeners into the Moontower world. Inspired by the Moonlight Towers from Richard Linklater’s Dazed And Confused. 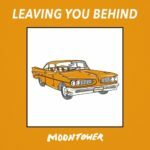 “Leaving You Behind” is super shiny indie pop with the trio creating tracks that can easily become part of your weekend feel good playlists. The chorus is addicting along with a blend of hypnotic beats. Moontower’s DIY approach and commitment to storytelling are apparent from their debut single “William,” which counts over 200K Spotify streams. “William” is part one of the story about a young man from suburban USA on a quest to rescue the love of his life. Moontower now follows up with part two called “Leaving You Behind,” where William learns that unrequited love will haunt you no matter how far you try to run.